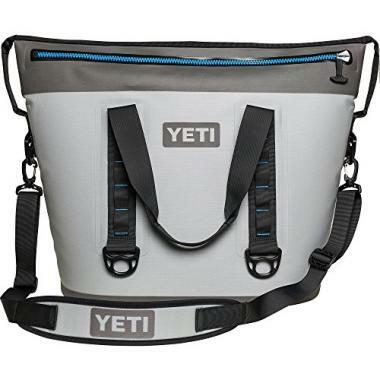 YETI have become an incredibly popular brand of cooler and you can see why. They are high-quality with a great level of durability and most importantly they are brilliant insulators. 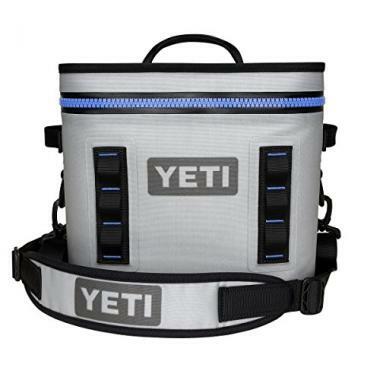 There are quite a few different types, however, therefore getting the best YETI cooler for you is vital. In order to get the best cooler YETI to fit your needs, there is a lot to consider. That’s why we have created this buying guide to explain everything you need to know, and have completed YETI cooler reviews on the best products out there. Once you have finished reading this, you’ll know exactly what YETI cooler to get. The Hopper Flip YETI cooler can hold its own in the toughest outdoor conditions. Its rugged exterior is composed of a high-density material that is fully waterproof and resistant to abrasion, punctures, UV rays, and mildew. The liner is made from a safe, FDA-approved food-grade material. Whether you're looking for a small cooler that will fit in your kayak, an appropriate size for air travel, or want a beach cooler, it comes in the size you need. If you're using it indoors, it will keep stuff freezing cold for about three days. When using it outdoors, it will retain cold for at least a day. It is compact, lightweight and easy to carry. It also has attachment points for any accessories you need handy. Want a small but heavy-duty hard cooler for short trips or for one person? The Roadie is the perfect compact and portable size. It has Yeti's legendary rotomolded and bearproof build quality so it can handle the outdoors, falls and other beatings without breaking. Being a small cooler with a capacity of up to 14 cans, ice will remain ice for up to two days. 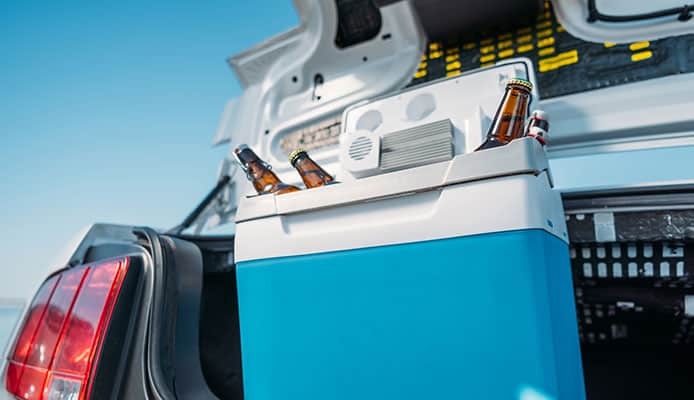 The Tundra 65 has the large space and long ice life you require when you need a fishing cooler, need to keep drinks frozen for a large outdoor party, or are going on a long trip and need to keep thing fresh and chilled for days. It will keep your catches or food and drinks fresh an ice cold anywhere from three days to longer than a week depending on the conditions and how you use it. With the rugged rotomolded construction and heavy-duty latches, it can stand up to the rigors of outdoor use and being a workhorse without failing. 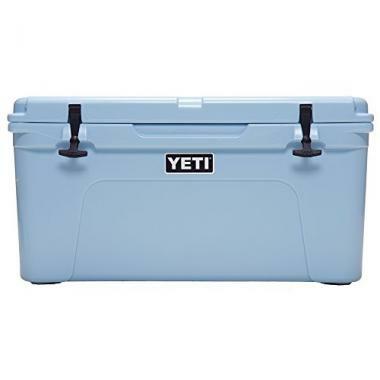 Its a top rated Yeti cooler for its build quality, durability, performance and polished finish. It doesn't come cheap but it is a solid investment that will serve you for a lifetime. This Hopper Two is more convenient and portable than a hard cooler and large enough to preserve large cargoes meant to serve many people or on longer trips. It is a great cooler for transporting fish or meat or for use on a yacht, boat, or road trip. The tapered body makes hauling the cooler easier. It keeps frozen items frozen for up to three days, which is excellent for a soft-sided cooler. The top design makes it easy to pack and remove items and the cooler is easy to store in between uses. This soft cooler has top quality craftsmanship and is built tough. It is waterproof, highly resistant to wear and tear, antimicrobial, durable and good looking. The liner is made of a food-safe material. The backpack cooler straps make the Hopper Backflip backpack cooler comfortable to carry hands-free. This makes it great for use on the go when fishing or attending outdoor concerts. Built taller and wider than the Hopper Flip, it holds a lot and can even serve as a picnic backpack for carrying the wine. It also has external attachment points for accessories. It is the perfect size for use as a personal cooler or on a kayak. 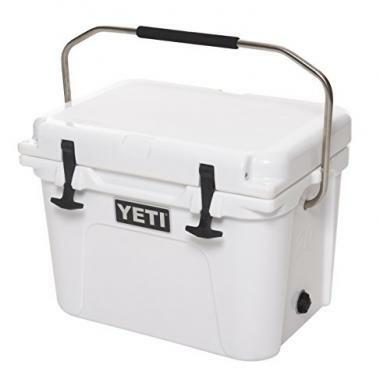 The is one of the top rated YETI coolers for its quality and performance. It holds ice and keeps food and drinks really well and the attention to detail is impressive. It is made using an extremely tough fabric and will definitely hold up over the years. 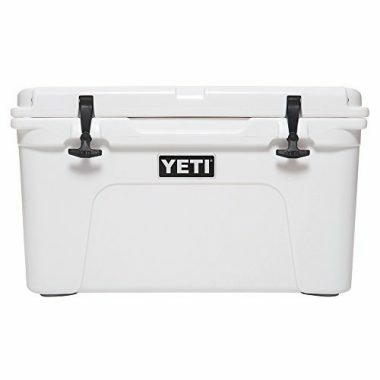 This is possibly the most popular YETI cooler, as it has that classic shape, perfect size and is very highly rated. It’s able to be carried by one person and has a very high level of insulation with its three inch thick walls. Not only that, but the cooler is also highly durable and comes in a nice variety of colors, allowing you to add your own personality. Soft-sided coolers aren’t going to be able to give you the same level of insulation but this bag from YETI still does a brilliant job at keeping your contents cool. It is waterproof and resistant to mildew with a good internal capacity to fulfill your needs. It is lightweight and easy to carry, allowing you to take it anywhere you need to. This is a small YETI cooler that is highly portable, allowing you to take it to a large number of different locations. Despite its smaller size, it is still able to hold a good amount of contents and keep everything cool with three inches of insulation. Different colors are available and also a few different designs too, allowing you to have more customization. 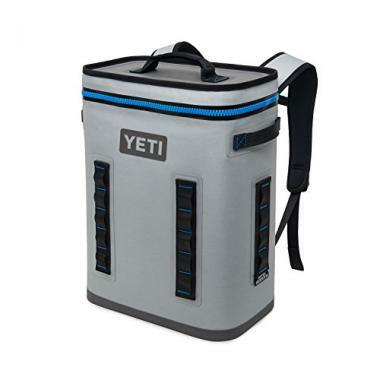 This top rater cooler YETI offers you a soft-sided solution that is highly portable. It has a taller design, allowing you to wear it like a backpack which means that you will be able to carry it for a long time without getting tired. It’s waterproof and abrasion resistant to ensure that it is going to last you for a very long time. If you’re looking for a YETI hunting cooler then this could be ideal for you, as well as being ideal for plenty of other uses too such as on a boat or a beach. It comes with an internal basket allowing you to separate contents in your cooler and the two large handles it has on either side makes it easy for two people to carry. The first consideration that you need to have when it comes to coolers is the size. This is going to depend on a lot of factors such as the uses that you are going to have for it and how far you are going to be carrying it. If you’re going to be travelling a long way then getting a backpack cooler would be ideal. Weight is going to be an issue as a full packed large cooler is going to weigh a lot. You have to make sure that you are going to be able to carry it to wherever you need to go. On the other hand, you also want to make sure that you have enough space for your trip. It’s important to carefully consider the weight before you buy a YETI cooler. Another important consideration is the use that you are going to have for it, as this will have a large bearing on how large it needs to be and how far you are going to be carrying it. 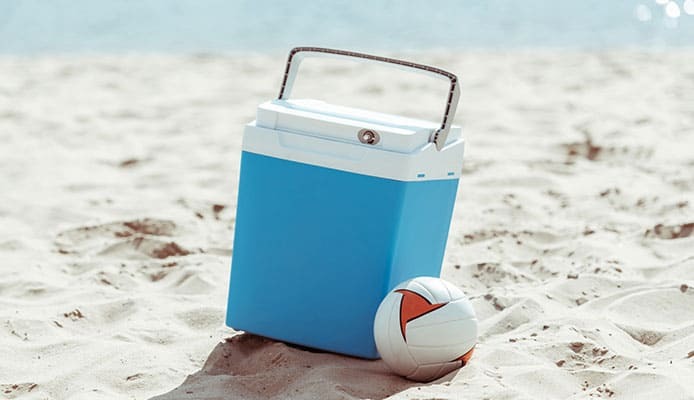 If you are taking it to the beach, for example, then portability most likely isn’t going to be an issue but that’s where a specific beach cooler could be the best option. If you are going to use it for fishing then you want to make sure it’s the right size for the fish you want to catch, there are also great fishing coolers specifically for this need. If you are on a hike, for example, then an easy to carry soft cooler might be the best option. You need to take the practicality of it into account to ensure that you are getting a product that suits you. Insulation is one area that YETI coolers really excel as they are going to be able to give you a very long-lasting level of cooling. This is due to the fact that their hard-sided coolers have three inches of insulation to ensure that there isn’t any heat transfer. There is a big difference in insulation to soft-sided bags as they are unable to create a vacuum but their foam can still offer a good level of insulation. That is a big difference between the two types but they will still keep your contents cool for a long time. The mobility of your product is going to be important as these coolers can get very heavy once they are fully stocked. The mobility often depends on the size of the product but you also want to ensure that any handles are well-placed and it is easy to carry. In order to have the highest level of mobility, a soft-sided cooler will be able to give you the highest level of portability as they often come with straps and are a little smaller. There is also the option of having a wheeled cooler which will take away the pain of trying to carry it. Another area where YETI coolers excel when compared with their rivals is in the durability that they have. The hard-sided coolers have a very high tolerance to shocks and bangs, so much so that they refer to these products as being bear-resistant which makes them ideal for camping. The soft-sided coolers are obviously a lot different but still offer a very high level of durability as they are made from a thick material that will be resistant to tears as well as waterproof. If you are buying a YETI product, then you know you are buying one that is going to last for a very long time. Visual appeal isn’t one area where coolers generally excel as they are meant to serve their practical purpose first of all which is why they come in that typical box shape. That shape allows them to have those thick walls of insulation. That practically is added to by the well-placed handles and the durable tabs that are going to be able to keep it closed. Visual appeal isn’t something that you should be overly concerned about but it’s always an added bonus. The ability to retain ice is important as it’s a key indicator of how cold the entirety of your contents are going to stay. YETI generally advise that you should carry a lot of ice and you want it to last for as long as possible. Marine coolers are generally able to hold a lot of ice due to the long time you will be out on the water. This is also an important consideration for kayak coolers too but they have to be more portable and compact. The ice should be able to last you for a whole day out depending on how many times you are going to be opening and closing the box. Soft-sided coolers aren’t going to be able to have the same level of ice retention and it’d be a better idea to carry some ice packs. These coolers all have a high amount of functionality. Their primary function is, of course, to keep all of the contents inside as cool as possible but you also want to ensure that they are going to fit the rest of your needs too. If you just want nice cold food and brink for your normal day then a lunch cooler would be perfect. Whatever type of activity you plan on doing, you want to ensure that you are going to be able to easily take it from one place to another. Also aspects such as how it is close, the tabs that it has and also the types of handle it has are all going to be important. 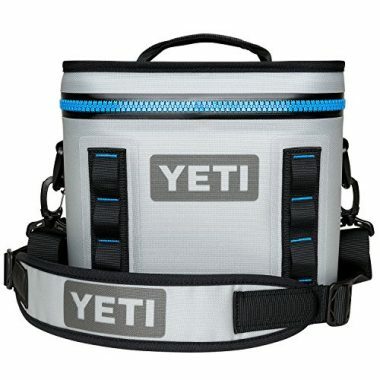 There are quite a few different types of YETI cooler that you are going to be able to buy. The obvious difference in type is going to be the size as you need to be able to pick a size that is going to fit what you plan to be doing. Aside from that, there are the various types of soft-side cooler you can be and also other option such as the wheeled cooler model and also the wide bucket that is available also. There are a lot of different types and it’s important to choose the ideal one for you. There are a few different style option that you are able to have when it comes to these coolers with one of the biggest options being color. There are usually a few varieties of color available allowing you to add your own personal style. One area where there are a few different design options is with the soft-sided coolers. Due to their nature they don’t need to be a specific design which allows you to have a few different buying options. Some of these look great and will give you a great sense of style, whatever activity you are doing. There are a few huge differences between the hard and soft coolers with perhaps the biggest being the level of insulation that you are going to have. Hard side coolers are going to be able to offer a much higher level due to the vacuum they can create. Soft-side coolers are generally a lot smaller as they are designed to be carried on your shoulders. This makes them ideal for hikes and long trips. Hard-sided coolers are more ideal when you don’t need to carry them for too long. Q: What Material Are YETI Coolers Made Of? A: There are a few different materials used depending on the type of cooler used with remolded plastic used for hard-sided coolers and a thick fabric used for soft-sided coolers. YETI use top quality materials to ensure that they have a high level of durability. Q: What Makes A YETI Cooler So Special? A: YETI coolers excel in all the key area required. They have a very high level of insulation which is their primary job but they also have great durability too. Their overall build quality sets them apart and their reputation is well earned for providing great coolers. Q: How To Prepare My Cooler So I Get Most Of It? A: YETI generally recommends that you fill a cooler with around a third of ice to ensure that your contents are going to be able to stay as cool as possible. With soft-sided ice packs it’s a great idea to have ice packs that won’t leak for minimal mess. Coolers can completely change an activity and allow you to enjoy cold drinks or food wherever you are. This can be perfect in a wide variety of different scenarios and you could well find that you end up using your coolers for many different reasons. In order to choose the best one for you there is clearly a lot to consider but all of these products from YETI have a high level of quality with their famous level of insulation, their excellent build quality and also their extreme durability. That means that you are going to be able to buy with confidence and know that you are going to have a cooler that will last for many years. 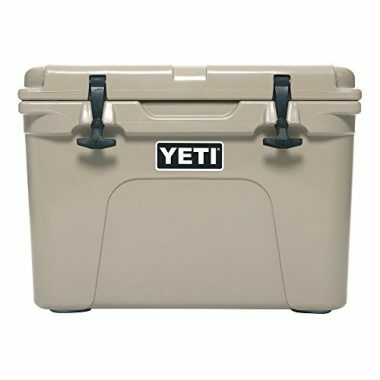 Hopefully this guide has been able to give you all the information that you need in order to choose the best YETI cooler for you. Once you have then you will be able to head out there and enjoy the high level of insulation that you will have.